Watch the Kiwi drivers dominate on home soil, when they return to Pukekohe Park Raceway for the ITM Auckland SuperSprint. 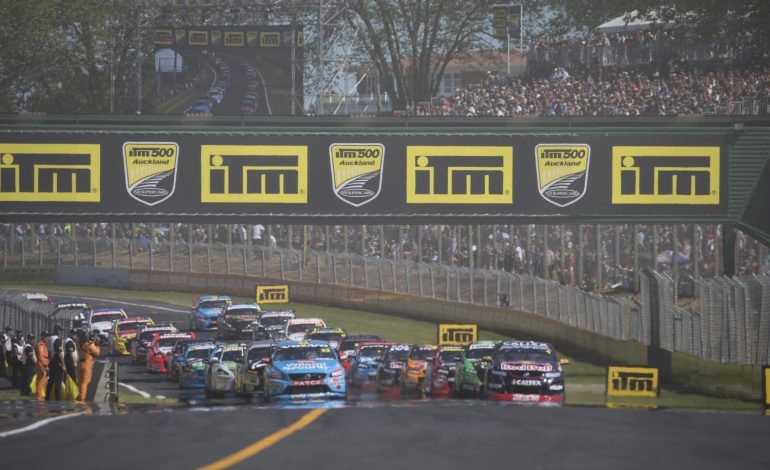 The 2018 Supercars season brings with it fresh new Kiwi talent to Pukekohe Park Raceway. Young bloods Heimgartner and Stanaway, alongside fan favourites McLaughlin, van Gisbergen and Coulthard, will represent New Zealand for round 15 of the Virgin Australia Supercars Championship. Catch all your favourite support categories, experience some awesome entertainment and join forces with your friends and family to cheer New Zealand across the finish line. Come and see one of the world's greatest motorsports, at New Zealand’s largest annual sporting event! Bring your own chair, blanket or just yourself and enjoy the unforgettable atmosphere of the Virgin Australia Supercars Championship. A Trackside ticket gives you the freedom to sit on the hill with family and friends, or wander around and find your favourite spot around the track to catch all the action. Kids 12 and under receive free Trackside admission all weekend with a paying adult.